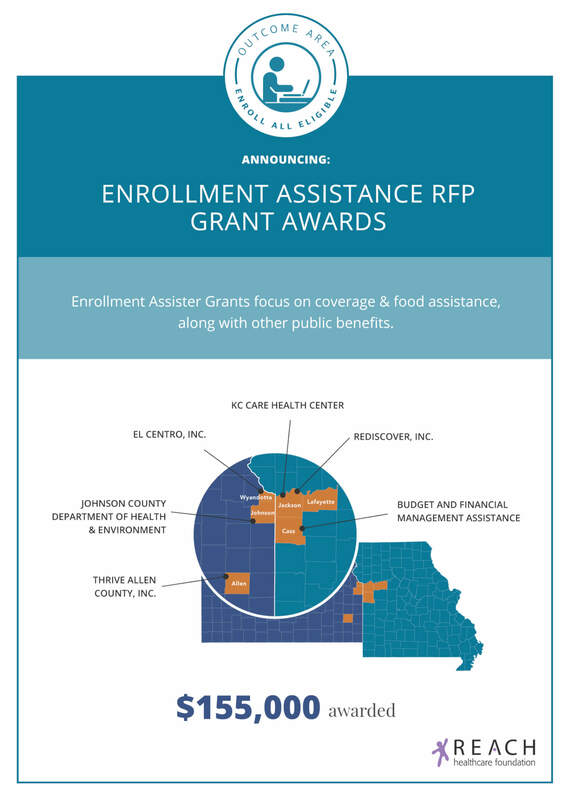 The Enrollment Assisters Request for Proposal was broadened this year beyond health coverage to include enrollment and eligibility for other public benefit programs, including Temporary Assistance for Needy Families (TANF), Supplemental Nutrition Assistance Program (SNAP), Child Care Assistance Program (CCAP), Women Infants and Children (WIC) and Supplemental Security Income (SSI). The organizations selected for funding have experience working with population groups that often have difficulty securing health and social services and little access to the technology or documentation required to apply. For their Enrollment Assisters grant, ReDiscover is focusing particularly on individuals with persistent and severe mental illness including those who are homeless or in unstable housing. These clients benefit from intensive, coordinated treatment and supportive services, but often have difficulty accessing care because of their health and mental health conditions. ReDiscover’s benefits specialist works with the agency’s case managers and the clients to facilitate the benefits process and resolve challenges that may arise with clients’ documentation and applications. Budget and Financial Management Assistance (BFMA) works with more than 750 disabled, homeless and elderly persons each year from Clay, Jackson, Johnson, Platte, Cass and Wyandotte counties in the Kansas City metro area. All clients have a diagnosed disability and are eligible for disability and other benefits but need intensive assistance with enrolling and completing recertification for benefits each year. BFMA’s clients are particularly vulnerable; 30 percent of new clients are homeless and more than 85 percent live with severe and persistent mental health issues. Thrive Allen County’s “Thrive Can Help” enrollment assisters project builds on their navigator services that were started in 2013. Since that time, Thrive has served more than 1,600 consumers and enrolled nearly 900 in health insurance marketplace coverage plans. In 2017, Thrive expanded its health care access efforts to help consumers and providers trying to address other health and social safety net issues – from Medicaid enrollment to securing help with housing and other core services. For 2018, Thrive will grow its part-time navigation assistance to full-time work with clients in the larger cities in the county as well as the smaller communities including LaHarpe, Moran and Savonburg. These partners are just a few of organizations REACH supports through the Enroll All Eligible outcome investment area.